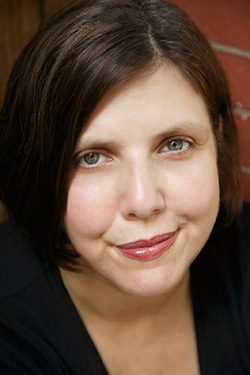 The Raymond Carver Reading Series in the College of Arts and Sciences continues with a visit by award-winning novelist Jenny Offill. On Wednesday, Feb. 11, she will participate in a Q&A session at 3:45 p.m., followed by an author reading at 5:30 p.m. Both events are free and open to the public and take place in Gifford Auditorium. The Carver series is organized and presented by the M.F.A. Program in Creative Writing, in conjunction with the English department’s “Living Writers” course. For more information, call 315-443-2174. The Len and Elise Elman Visiting Writer, Offill is the author of “Dept. of Speculation” (Random House, 2014), named one of last year’s 10 Best Books by The New York Times Book Review. The novel has been characterized as a “slender and cannily paced” portrait of a troubled marriage. “The wife,” as the protagonist is known, balances her passion for writing with raising a daughter, almost singlehandedly. In the process, she learns more about herself by studying science; mythology; Arabic, Japanese and Lebanese proverbs; and Buddhism. With its kaleidoscopic view of a heroine’s life, “Dept. of Speculation” has been compared to “Speedboat” (1976), by Renata Adler and to “Sleepless Nights” (1979), by the late Elizabeth Hardwick. “Part elegy and part primal scream, it’s a profound and unexpectedly buoyant performance,” The New York Times says of Offill’s novel. This is not the first time Offill has made headlines. Her debut novel, “Last Things” (Farrar, Straus, & Giroux, 1999), was chosen as a notable or best book of the year by The New York Times, Los Angeles Times, The Village Voice and The Guardian. It also was a finalist for the Los Angeles Times First Book Award. Offill also has co-edited two anthologies of literary essays and has written several picture books. She teaches creative writing at Columbia University, Brooklyn College and Queens University of Charlotte (North Carolina). Upcoming readers in the Carver series—named for the great fiction writer who taught at Syracuse in the 1980s—are Bridget Lowe G’09 (Feb. 25), E.C. Osondu G’07 (March 25), Ron Padgett (April 1) and Ishion Hutchinson (April 22).